It’s only fitting that the self-proclaimed King of R&B throws himself an extravagant birthday dinner party surrounded by friends and family. Jacquees may still be getting flack for covering Ella Mai’s “Trip,” so much so that Tory Lanez recently came to his defense, but the singer wasn’t worried about any of the drama as he celebrated his birthday at Mastro’s in Beverly Hills. TMZ reports that dozens of Jacquees’ loved ones were in attendance, including Lala Milan, singer Sevyn Streeter, and his girlfriend Dreezy. The “Your Peace” singer rented out a private room on the first floor and ordered every appetizer on the menu in addition to oysters, crab legs, steaks, Hennessy, and Ace of Spades. 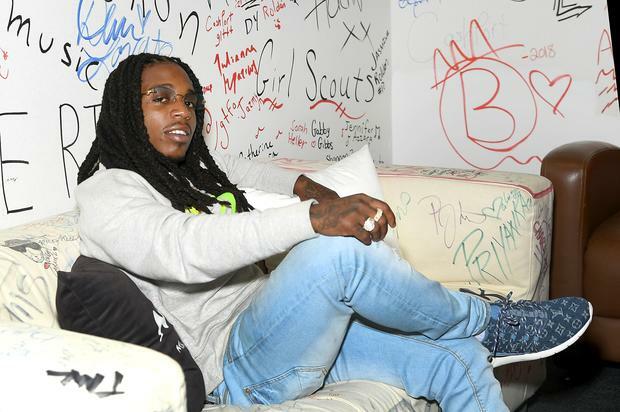 Keeping up with the “King of R&B” controversy, Jacquees’ custom birthday cake featured an image of the singer wearing a crown. Dreezy gifted her man a large Louis Vuitton bag while his manager, Johnathan, gave Jacquees a similar version just smaller. The party went on until 1:00 a.m., reportedly keeping the staff working an hour overtime because they weren’t ready to leave. Not everyone could make the get-together, so friends like Chris Brown, Birdman, and Ty Dolla $ign sent in congratulatory birthday video messages that were played at the $40,000 party.